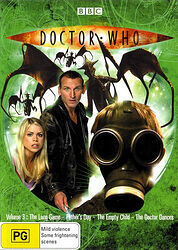 Note: Contains episodes 7-10 from the 2005 series: The Long Game, Father's Day, The Empty Child and The Doctor Dances. This is a "vanilla" DVD, containing no extras or special features — only the Complete First Series box set contains any extras. In the far future, Satellite 5 broadcasts to the entire Earth Empire. 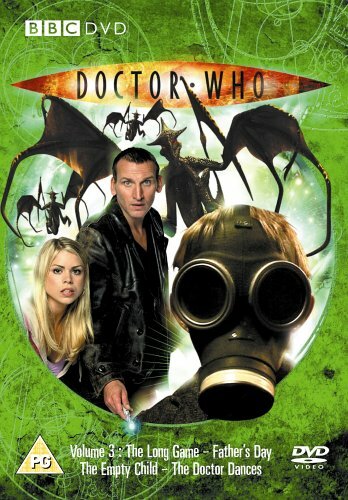 Nothing escapes the eye of the sinister Editor and the Doctor suspects mankind is being manipulated. But just who is the Editor working for? And does Adam have what it takes to become the Time Lord's companion? 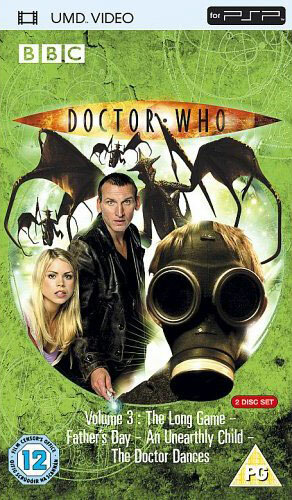 The Doctor and Rose return to 1987 and the scene of her father's tragic accident. But when she interferes in the course of events, the monstrous Reapers are unleashed upon the world and a wedding day turns into a massacre. Even the Doctor is powerless as the human race is devoured. London, 1941, at the height of the Blitz. 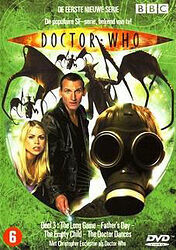 The army guards a mysterious cylinder and homeless children, living on bombsites, are terrorised by an unearthly child. Rose meets the dashing Jack Harkness and wonders if she has found a hero even better than the Doctor? Same as UK edition, minus the quote from Heat at the beginning. Note: Experimental release by the BBC on the UMD (Universal Media Disc) format, used by the Sony PlayStation Portable. The other Series 1 DVD volumes and Series 4: Volume 1 were also released on UMD in the same way. Due to disappointing sales, there were no further such releases. This is the only UMD release to contain 2 discs as it contains 4 episodes, compared to 3 episodes for the other releases. Title: Доктор Кто. Сезон 1. Часть 2. Note: Instead of releasing Series 1 in four parts like other countries, Russia (and Portugal — see below) split it into two parts instead — so this Russian "Part 2" release contains episodes 8-13 of Series 1, from Father's Day through to The Parting of the Ways. Hence why it appears on this page — despite the "Part 2" title and similar artwork, it actually shares no episodes in common with the other countries' Volume 2 releases. 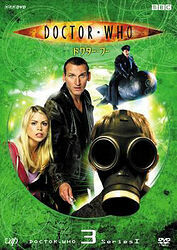 Note: Like the Russian release above, this is titled "Series 1 Part 2", and is a similar 2-disc, 6-episode release (despite the different artwork). Note: The same 6 episodes as contained on the first Russian release (above), but this time squeezed onto a single disc.